Elegantly designed with a European feel, Abacos is a low rise, four story complex offering a luxurious vacation to the beaches of South Walton. Located just across the street from the beach, you will love playing along the white sand beaches and splashing in the emerald water of the Gulf of Mexico. 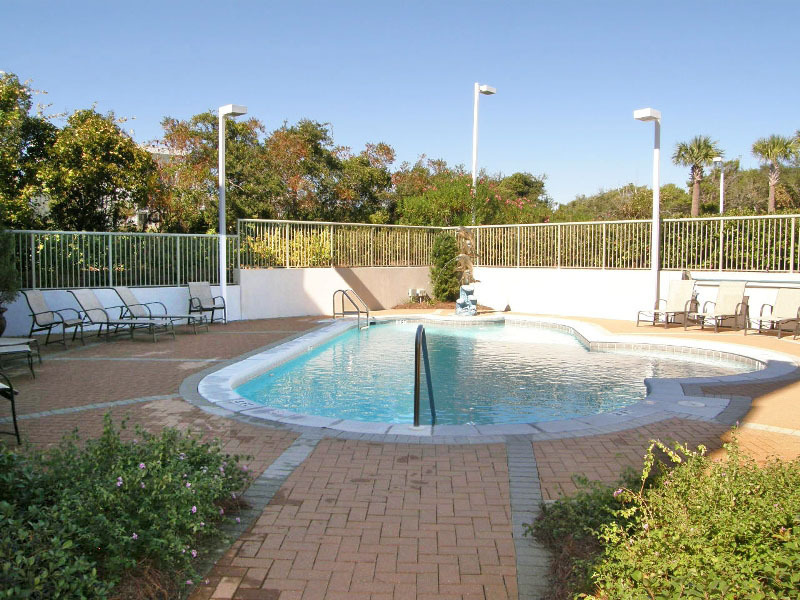 Spend some time to relaxing by the beautiful community pool which is accented by a gorgeous dolphin fountain. Delicious restaurants are nearby these 30A vacation rentals including La Playa, just across the street. If you are interested in treating your special someone to an evening of fine dining consider visiting Marlin Grill, a South Walton Southern Perks partner. If you are in the mood for shopping, visit some of the unique shops along Scenic 30A or travel to nearby Destin to spend the day at Grand Boulevard or Silver Sands Premium Outlets. Escape to Abacos 304 for a quiet and relaxing vacation. 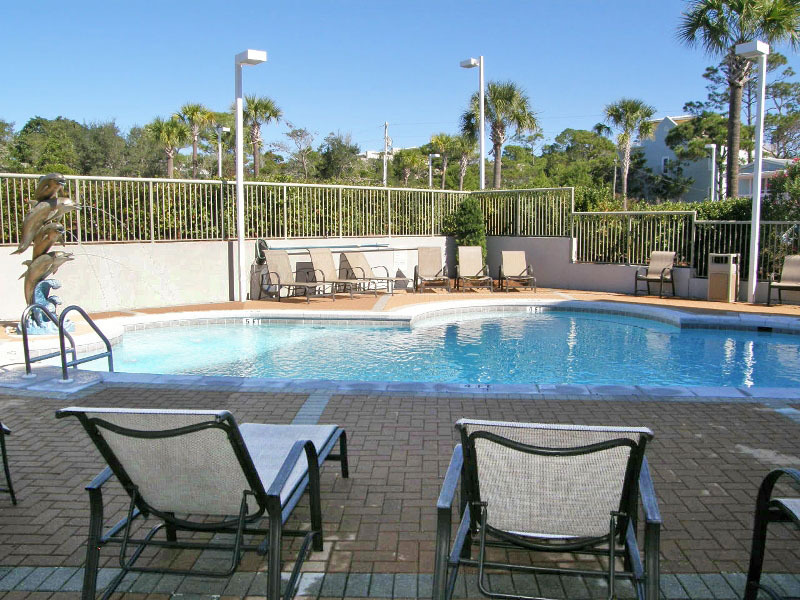 This three bedroom, two and a half bathroom 30A condo rental will be a delight to your whole group! Plan your sweet Southern vacation to the shores of Scenic 30A and enjoy a wonderful stay at Abacos #308, a three bedroom condo rental.